Shaogang (Sean) Gong is Professor of Visual Computation at Queen Mary University of London and a Turing Fellow of the Alan Turing Institute of Data Science and Artificial Intelligence. He established the Queen Mary Computer Vision Laboratory in 1993 and has enjoyed immensely working with PhD students and postdoctoral researchers. 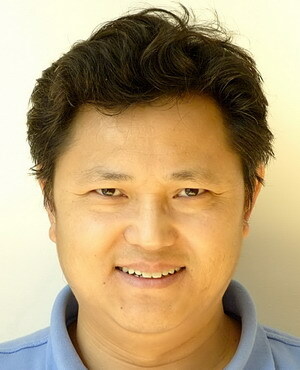 His research is in Computer Vision and Machine Learning (Google Scholar and DBLP), with a focus on Object Recognition, Action and Behaviour Recognition, and Video Analysis. His brief bio and publications with pdf download. Shaogang Gong, Marco Cristani, Shuicheng Yan, Chen Change Loy (Eds.). 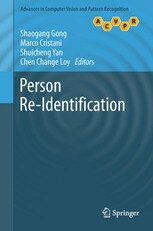 Person Re-Identification, Springer, January 2014. Caifeng Shan, Fatih Porikli, Tao Xiang, Shaogang Gong (Eds.). 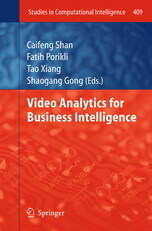 Video Analytics for Business Intelligence, Springer, March 2012. Shaogang Gong, Tao Xiang. 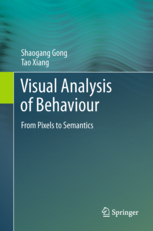 Visual Analysis of Behaviour: From Pixels to Semantics, Springer, May 2011. Shaogang Gong, Stephen J. McKenna, Alexandra Psarrou. 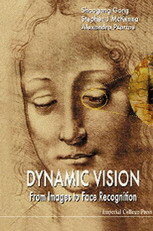 Dynamic Vision: From Images to Face Recognition, Imperial College Press, June 2000. S. Kevin Zhou, Wenyi Zhao, Xiaoou Tang, Shaogang Gong (Eds.). 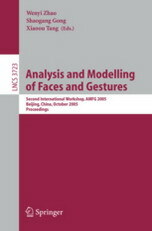 Analysis and Modelling of Faces and Gestures, Springer, October 2007. Wenyi Zhao, Shaogang Gong, Xiaoou Tang (Eds.). 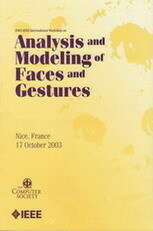 Analysis and Modelling of Faces and Gestures, Springer, October 2005. Shaogang Gong, Hong-Jiang Zhang, Stan Li, Andrew Senior, Thomas Vetter, Wenyi Zhao (Eds.). Analysis and Modelling of Faces and Gestures, IEEE Computer Society, October 2003. 2017 Computer Vision and Image Understanding Special Issue on "Image and Video Understanding in Big Data", Vol. 156; Vittorio Murino, Shaogang Gong, Chen Change Loy, Loris Bazzani. Editorial: Image and Video Understanding in Big Data, Vol. 156, pp. 1-3, March 2017. 2002 Image and Vision Computing Special Issue on "Understanding Visual Behaviour", Vol. 20, No. 12; Shaogang Gong, Hilary Buxton. Editorial: Understanding Visual Behaviour, Vol.20, No.12, pp. 825-826, October 2002. 2017 IEEE International Conference on Computer Vision (ICCV), First International Workshop on Cross-Domain Human Identification (CHI), Venice, Italy, October 2017. 2017 IEEE Conference on Computer Vision and Pattern Recognition (CVPR), First International Workshop on Target Re-Identification and Multi-Target Multi-Camera Tracking, Honolulu, USA, July 2017. 2014 European Conference on Computer Vision (ECCV), International Workshop on Surveillance and Re-Identification, Zurich, Switzerland, September 2014. 2012 European Conference on Computer Vision (ECCV), First International Workshop on Person Re-Identification, Florence, Italy, October 2012. H-X. Yu, W-S. Zheng, A. Wu, X. Guo, S. Gong, J-H. Lai. "Unsupervised Person Re-Identification by Soft Multilabel Learning". In Proc. IEEE Conference on Computer Vision and Pattern Recognition, Long Beach, California, USA, June 2019. M. Li, X. Zhu, S. Gong. "Unsupervised Tracklet Person Re-Identification". IEEE Transactions on Pattern Analysis and Machine Intelligence, accepted, February 2019. Q. Dong, X. Zhu, S. Gong. "Single-Label Multi-Class Image Classification by Deep Logistic Regression". In Proc. AAAI Conference on Artificial Intelligence, Honolulu, Hawaii, USA, January 2019. H. Wang, X. Zhu, S. Gong, T. Xiang. "Person Re-Identification in Identity Regression Space". International Journal of Computer Vision, Vol. 126, No. 12, pp. 1288-1310, December 2018. Z. Cheng, X. Zhu, S. Gong. "Low-Resolution Face Recognition". In Proc. Asian Conference on Computer Vision, Perth, Australia, December 2018. X. Lan, X. Zhu, S. Gong. "Self-Referenced Deep Learning". In Proc. Asian Conference on Computer Vision, Perth, Australia, December 2018. X. Lan, X. Zhu, S. Gong. "Knowledge Distillation by On-the-Fly Native Ensemble". In Proc. Conference on Neural Information Processing Systems, Montreal, Canada, December 2018. A. Kanaci, X. Zhu, S. Gong. "Vehicle Re-Identification in Context". In Proc. German Conference on Pattern Recognition, Stuttgart, Germany, October 2018. M. Li, X. Zhu, S. Gong. "Unsupervised Person Re-Identification by Deep Learning Tracklet Association". In Proc. European Conference on Computer Vision, Munich, Germany, September 2018. Y. Chen, X. Zhu, S. Gong. "Semi-Supervised Deep Learning with Memory". In Proc. European Conference on Computer Vision, Munich, Germany, September 2018. X. Lan, X. Zhu, S. Gong. "Person Search by Multi-Scale Matching". In Proc. European Conference on Computer Vision, Munich, Germany, September 2018. H. Su, X. Zhu, S. Gong. "Open Logo Detection Challenge", In Proc. British Machine Vision Conference, Newcastle, UK, September 2018. Y. Chen, X. Zhu, S. Gong. "Deep Association Learning for Unsupervised Video Person Re-Identification", In Proc. British Machine Vision Conference, Newcastle, UK, September 2018. Q. Dong, S. Gong, X. Zhu. "Imbalanced Deep Learning by Minority Class Incremental Rectification". IEEE Transactions on Pattern Analysis and Machine Intelligence, accepted, May 2018. Z. Fu, T. Xiang, E. Kodirov and S. Gong. "Zero-Shot Learning on Semantic Class Prototype Graph". IEEE Transactions on Pattern Analysis and Machine Intelligence, Vol. 40, No. 8, pp. 2009-2022, August 2018. W. Li, X. Zhu, S. Gong. "Harmonious Attention Network for Person Re-Identification". In Proc. IEEE Conference on Computer Vision and Pattern Recognition, Salt Lake City, Utah, USA, June 2018. J. Wang, X. Zhu, S. Gong, W. Li. "Transferable Joint Attribute-Identity Deep Learning for Unsupervised Person Re-Identification". In Proc. IEEE Conference on Computer Vision and Pattern Recognition, Salt Lake City, Utah, USA, June 2018. J. Jiao, W-S. Zheng, A. Wu, X. Zhu, S. Gong. "Deep Low-Resolution Person Re-Identification". In Proc. AAAI Conference on Artificial Intelligence, New Orleans, Lousiana, USA, February 2018. Y. Fu, T. Xiang, Y-G Jiang, X. Xue, L. Sigal, S. Gong. "Recent Advances in Zero-Shot Recognition: Towards Data-Efficient Understanding of Visual Content". IEEE Signal Processing Magazine, Vol. 35, No. 1, pp. 112-125, January 2018.